In absence of a statutory definition as to how this requirement should be interpreted or applied, it is the Secretary of State who should be satisfied that an applicant is of good character. In order for the Secretary of State to make an assessment on good character, Annex D of Chapter 18 of BNA contains a guidance with information on how to assess if the applicant is of good character. This guidance also applies to minors above the age of ten. This guidance has recently suffered some amendments by the Home Office, which apply to all decisions taken on or after 11 December 2014. Prior to these amendments, the guidance included as disqualifying behaviours: have been suspected or convicted of a criminal activity; have been involved in or associated with war crimes, crimes against humanity, genocide, terrorism, or with other actions that are not conducive to the public good. It also included factors such has lack of financial soundness, notoriety, deception or dishonesty. All these factor still remain in the new guidance, along with new factors relating to the applicant’s immigration history. 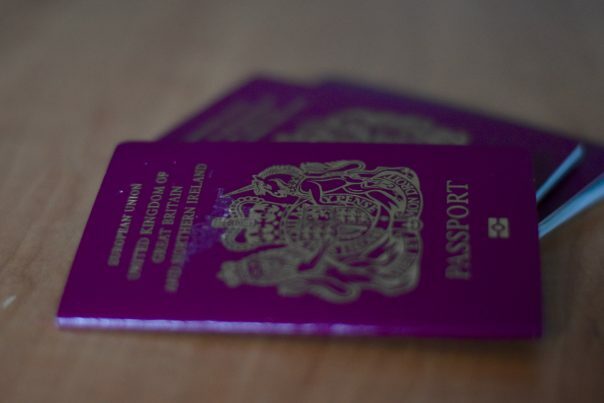 In circumstances where an applicant entered the UK illegally, an application for citizenship should normally be refused for a period of 10 years from the date of entry, if it is known. If it is not known, the period of 10 years starts from the date on which the person first brought themselves to or came to the attention of the Home Office. The decision maker will normally refuse an application if there are grounds for believing that the person is currently, or has previously been, involved in an attempt to assist someone in the evasion of immigration control. This includes a person whose spouse’s/civil partner’s recent application for entry clearance has been refused on relationship grounds. Yet, Mr. Brokenshire statement is vague and ambiguous, which can lead the discretionary power of the Secretary of State to refuse naturalisation as British citizens to refugees. In fact, Mr. Brokenshire states that this new requirements would not apply to those refugees who sought asylum within a reasonable time period, but without clarifying what should be interpreted as “reasonable” in this context. Indeed, some refugees flee their country due to fear of persecution and arrive in the UK without knowing anything about the asylum process, and it takes them months to come across to it e.g. through NGOs or Churches, and submit an application. Another issue that Mr. Brokenshire did not specify is the extent of evasion of migration control as to consider this of not good character. Is someone of not good character for missing one reporting day? British nationality law has always been an complex area of immigration law thanks to the numerous registration that govern this area , the new requirement of good character only makes is even more difficult for someone to understand their eligibility for applying successfully to become British and given that such application are not appealable (like ordinary visas are), one would be wish to seek the services of an knowledge UK immigration lawyer before applying and risking wasting valuable resources. If you have been affected by any UK immigration matter, Please contact Solicitor Tito, a UK immigration and human rights solicitor, for a free initial consultation about your legal options. Call 07544 669131 or on Skype: tito.mbariti. I am very grateful to Tito who guided me all the way to gain my EEA Permanent Residency. Last year I talked with lots of lawyers, Solicitors, Barrister but no one was able to give me authentic information like Tito. Then I found his contact online and immediately I called him and he gave me free consultaion. I would like to say it was very honest and wise advice and very accurate information in terms of EU law. He is not only a Solicitor but also a friend as I have had access all the time to his mobile which is very rare in terms of another lawyers and legal expertise. To my experience he is a symbol of wisdom. It is needless to say in future I would recommend anyone who needs legal help especially in terms of Immigration matter to listen tp his advice and to have his professional help. I wish him a shinning carreer and good luck. The importance of finding the right solicitor is so important while you are in the visa process, as it is such a stressful time all round. After two spouse visa refusals, meeting Tito was the best thing that could have happened. Tito made me feel welcome from the moment I met him. He was supportive of us throughout our appeal process. This was important, as we had received poor service from a solicitor previously, which contributed to our visa refusal. Tito makes you feel like one of his friends, and you genuinely feel he is fighting your corner! He takes a personal interest in each case, and you can tell he puts his all into it. Without Tito I don't think we would have had the strength to go through the appeal process. With his knowledge, professionalism and straightforward approach, he secured us our visa. I would not hesitate to recommend Tito to anyone looking at applying for visa. He is the calm to your storm! Thank you from the bottom of our hearts for making this happen for us!